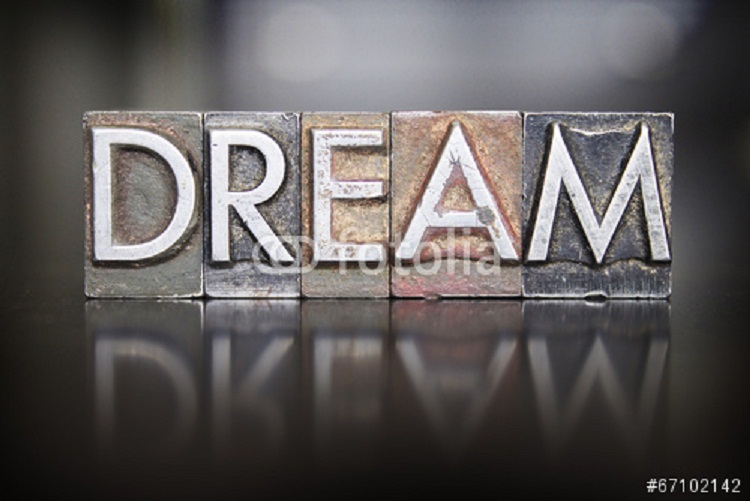 Why Writers can’t do Without Dreams | Letters from an unknown author! Dreams; there’s a subject. I woke up a few mornings ago in sunny Lanzarote (sorry, just had to rub that in) after a crazy dream in which I was out with a friend I hadn’t seen for years, and somehow, don’t ask me how, I had lost all my clothes. We had been out drinking and were walking home then something happened and I woke up somewhere without any clothes. I woke up then but that wasn’t the end of it. The next night I had a sort of follow on dream. I was wandering around with no clothes, although I had come across a blanket somehow and with me was Michael Portillo (yes, the ex-MP who hosts a show on BBC about railway journeys.) Well we ended up in this hotel and I was starting to worry. Well, who wouldn’t? No clothes, no wallet, no mobile. Who could I call? Should I try and cancel my bank cards? What happened to my keys? Where am I and what has Michael Portillo got to do with it? I often wonder where dreams actually come from. What is it in the deep recesses of the mind that produce these spurious dramas? When I was younger I don’t really recall ever dreaming that much. As I grew older I seemed to dream more but tended to forget most of my dreams very quickly. These days I do dream quite a lot and I dream pretty sensible things too. The ending of ‘Floating In Space’ was something I dreamt one night and I typed it up and replaced the original finale which, although inspired by real events, was a little unbelievable. Also, I have an entire story which I’ve partly written into a screenplay which I dreamt one night and which played out in front of me as vividly as if I was sitting at the front row of a picture house. It is about a man who appears one night wearing a white suit and who gets involved in some strange circumstances. So strange that those around him begin to believe the man is a kind of Saviour; a sort of new Jesus figure, and his companions become disciples in the way of those who followed Jesus himself. I still have my notes from that dream and the story is on my ‘to do’ list to finish. Dreaming a story and making it into a novel or a screenplay isn’t quite as strange as it seems. In 1898 an American writer, Morgan Robertson wrote a story about an unsinkable ship called the Titan which sailed from England to the USA, hit an iceberg and sank. The story was published fourteen years before the Titanic disaster. I remember reading the story of this writer years ago, even that the writer saw the story played out in front of him like a movie but all the research I did on the internet for this blog seems to imply that the author was a man who knew his business where ships were concerned, felt that ships were getting bigger and bigger and that a disaster like that of the Titanic was inevitable. Wikipedia describes dreams like this: Dreams are successions of images, ideas, emotions, and sensations that occur involuntarily in the mind during certain stages of sleep. It’s easy to think that perhaps the basis of dreams, the make-up of dreams comes from within but it’s possible external forces can affect dreams too. Paul McCartney once said that he didn’t write his songs but that they were out there, waiting for him to catch them; to pick them up. Perhaps dreams too are there just waiting for us to dream them. I have to confess to being a daydreamer but as for being dangerous, well, I think not. I do have a persistent daydream though, one of becoming a best-selling author. Of course, you the reader could make it happen, just by clicking the links at the top of the page to buy Floating in Space! This entry was posted in The Life of a Writer and tagged author, blog, blogger, blogging, dream, dreaming, essay, humour, kindle, new writers, new writing. Bookmark the permalink.